I tried to use my C100 on Copacabana beach today at 1pm with no shade. Luckily I got my shots but the LCD and EVF where no help at all. 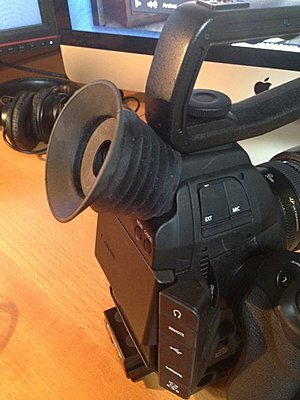 Has anyone got a decent effective solution for viewing the EVF yet? 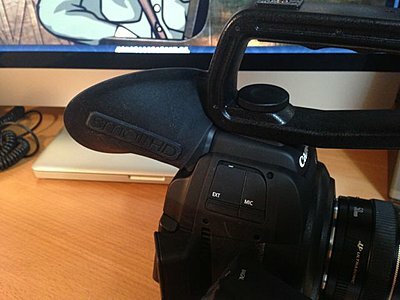 I have a hoodman shade on the way but want an EVF solution too. I saw someone had used a "Small HD" DP4 EVF eyecup on the C100 and said it worked for them. It works - better than you might expect. The older "cup" version is much better than the newer "accordion" style for me because I wear glasses, but both versions work to block out unwanted light. It stays on quite well, but I might try to find some sort of rubber band or elastic to keep things in place. The SmallHD DP4 would be my go to low cost EVF. when the heck is atomos going to finish their clip on evf for the ninja 2? 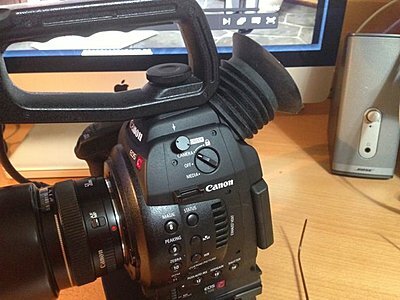 How do you find the DP4 compared to the C100 LCD? Is it easier to judge focus? 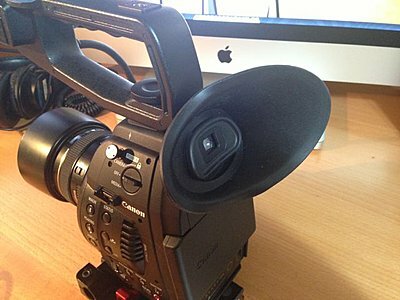 Am thinking about getting one but not sure if it will be much of an improvement when used as a monitor rather than in EVF mode. As far as the LCD, Zacuto says on their site that their C100 Z-finder (among other products) will be released within the next 4-8 weeks. The problem is that this is a date they continue to slip. It is beginning to become frustrating. Each time they slip the date, they speak as if the prior date commitments never existed.